This was today at a Crawfish Cookoff. Weather was a concern so I went with my ipb10 instead of taking a chance on getting my full rig soaked. But the skies stayed clear all day! Re: The PDF70FR and me! Looks like a fun job and your PDF70R looks cool! 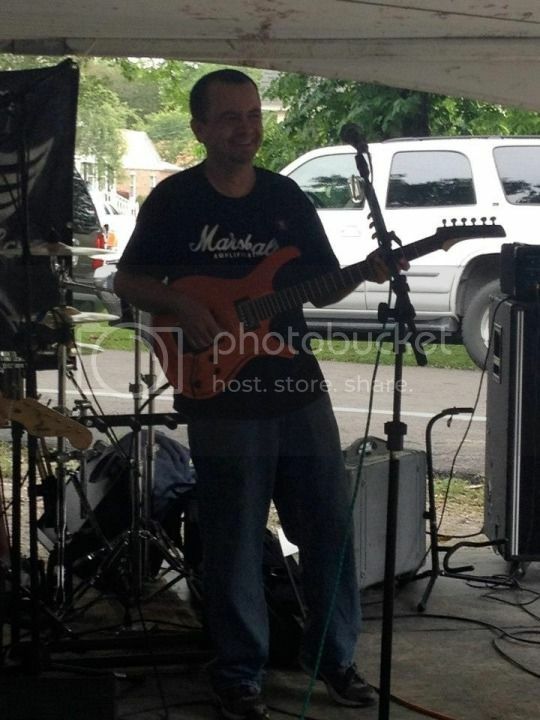 It was a nice middle of the day gig (10-2) which is rare. I basically had the whole day after. Weather was very threatening but it held off which was fortunate. However it kept me from using my whole rig. 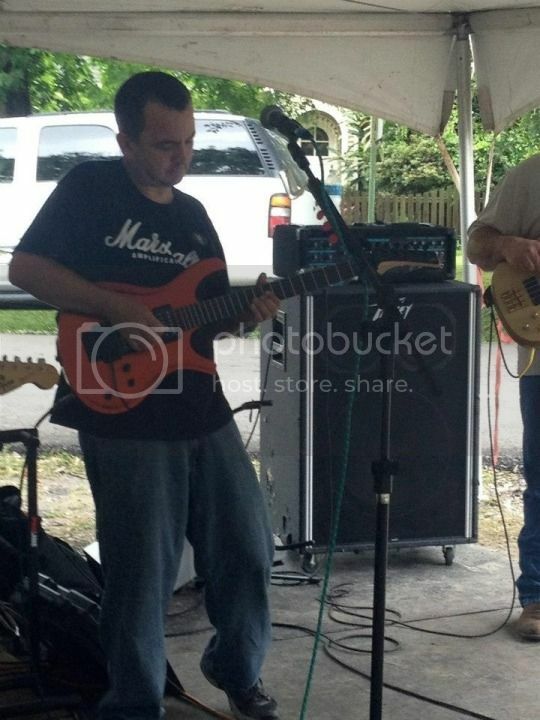 Kind of humorous that I wore a Marshall shirt but played through my IPB-10!! I like how the Tangerine finish makes the guitar look way more expensive than it actually is! It's classy to say the least.